The example of §10.2.1 was in fact a linear-phase FIR filter design example. The resulting causal finite impulse response was left-shifted (``advanced'' in time) to make it zero phase. While the trivial ``bypass filter'' is zero-phase (§10.2.2), the ``bypass filter with a unit delay,'' is linear phase. It is (trivially) symmetric about time , and the frequency response is , which is a pure linear phase term having a slope of samples (radians per radians-per-sample), or seconds (radians per radians-per-second). The phase- and group-delays are each 1 sample at every frequency. The impulse response of the simplest lowpass filter studied in Chapter 1 was [ ]. Since this impulse response is symmetric about time samples, it is linear phase, and , as derived in Chapter 1. The phase delay and group delay are both sample at each frequency. Note that even-length linear-phase filters cannot be time-shifted (without interpolation) to create a corresponding zero-phase filter. 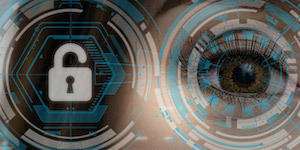 However, they can be shifted to make a near-zero-phase filter that has a phase delay and group delay equal to half a sample at all passband frequencies. All of these functions except firls are implemented in the free, open-source, Octave Forge collection as well. Methods for FIR filter design are discussed in the fourth book of the music signal processing series , and classic references include [64,68]. There is also quite a large research literature on this subject. 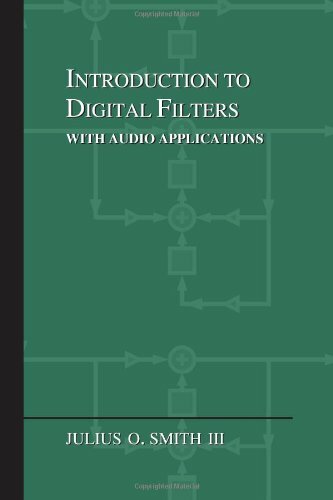 This book is a gentle introduction to digital filters, including mathematical theory, illustrative examples, some audio applications, and useful software starting points.